Cooling towers, fluid coolers and evaporative condensers. Evaporative cooling equipment is available in several types and sizes and understanding the various products, along with their advantages and limitations is important when determining the right application for your project. As the only full-line cooling product manufacturer, SPX Cooling Technologies is uniquely qualified to provide the best possible products and services for your application. From field erected cooling equipment for large power plants to factory-assembled products for light industrial or HVAC duty, this approach allows each customer the same dependability and quality regardless of size. Marley OEM Parts – With plant operations relying on your cooling tower performance, selecting Marley OEM parts for your cooling tower makes long-term sense. The potential continual reduction in performance and reliability—as well as increases in costs and risks of losing FM and CTI performance ratings—could quickly undermine any initial savings that other part manufacturers may offer. Because we design and manufacture exclusively for cooling towers, Marley cooling tower parts are among the highest quality replacement products available, providing many years of service with minimal maintenance. Technical Services – A full suite of cooling tower services are available to help ensure your operation is optimized and compliant. Where applicable, our technicians and methodology abide by CTI and ASME guidelines; and regardless of process or procedure, SPX staff is dedicated to delivering the highest standards of quality and accuracy. Ultimately, what SPX offers is the peace of mind that only a century of cooling tower experience can bring. Because we design, engineer, manufacture, and service leading cooling tower brands, it only stands to reason that we understand them better, inside and out. Reconstruction – Whether you have a tower nearing the end of its life cycle, have greater operational needs or have experienced a structural failure, SPX is ready with a range of reconstruction solutions that can get your operation back online fast. With experience that spans several generations, our highly experienced team can restore your towers to optimal renewed condition and performance that can exceed original specifications. EXTEND Service – We understand the most important objectives of your facilities’ cooling towers—achieving dependable, consistent day-to-day performance and increasing longevity and reducing life-cycle costs. Performance and longevity is directly correlated to the care and attention your cooling tower receives. With the EXTEND™ Service program, SPX can provide the services required to care for your cooling tower, no matter the age, model or manufacturer. With decades of experience, SPX has dedicated construction teams that can perform professional inspections and preventive maintenance on every aspect of your cooling tower. Learn more about EXTEND. 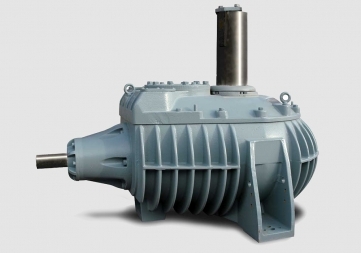 Gearbox Solutions – SPX Cooling Technologies designs and manufactures Marley Geareducers for cooling towers in HVAC, industrial and power plant applications. For over 75 years, the Marley Geareducer has set the standard for excellence in performance and durability. Every one of over 100,000 units installed in the field embodies SPX’s commitment and attention to quality standards in development, production and performance. SPX now provides the service to repair your well-worn gearbox. Not only can you get a new replacement gearbox for your cooling tower; a factory-trained technician with years of experience can repair your existing gearbox or provide a rebuilt gearbox. With our Geareducer Solutions program, you can be confident SPX has a solution regardless of your needs. 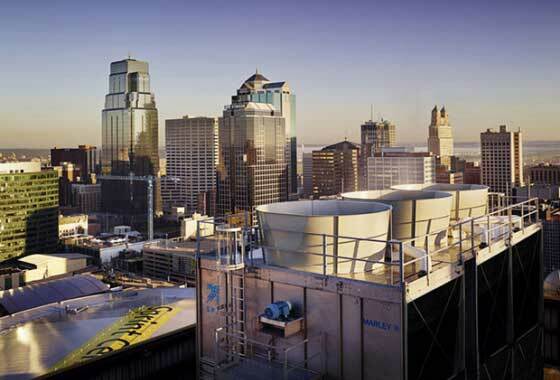 Temporary Cooling – If you need emergency or temporary cooling, or simply a contingency plan, SPX offers a fleet of rental towers ready to get you out of hot water fast. We can respond quickly during emergency outages to get your system up and running fast so you avoid costly downtime. Whatever your cooling needs, we’re ready to respond quickly, 24/7.